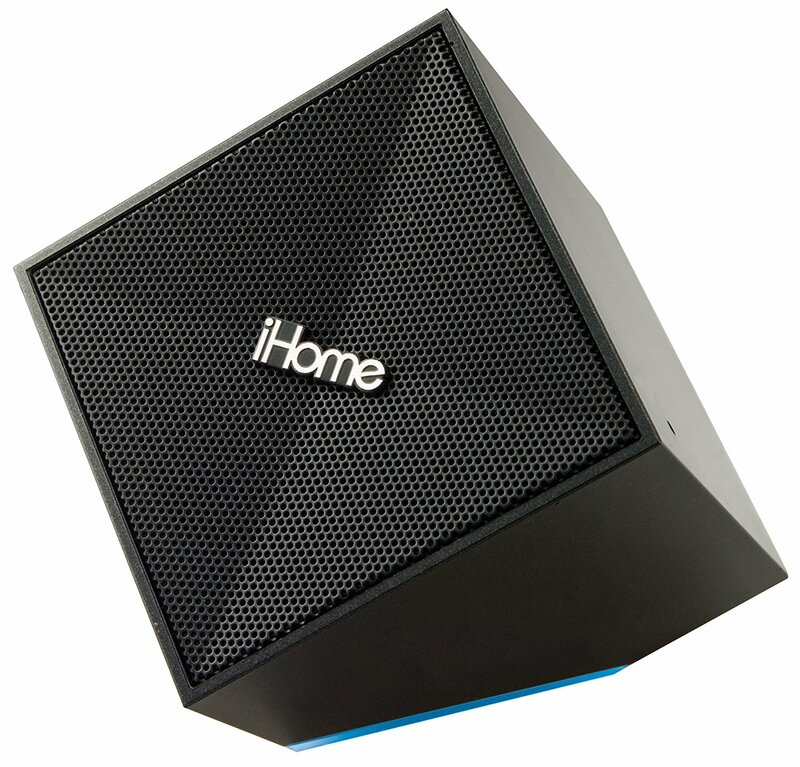 The iHome iDM11B is one of the most affordable Bluetooth speakers in the market. It also has an exquisite design that many audio enthusiasts will appreciate. The boxy but stylish shape of this speaker makes it look attractive and durable. From all the other iHome speakers that were built in recent years, I would have to say that this particular model is their best compact Bluetooth speaker. This wireless speaker can be carried around and put anywhere you want, but its design and shape are well suited to a small office. It also offers a built-in microphone that you can use for conference calls. This feature is also present in Jawbone Jambox, which elevates the functionality of portable Bluetooth speakers. After the success of the Jambox, other manufacturers have integrated this feature into their products. What Features Can You Expect From iHome iDM11B? For starters, it has a built-in rechargeable battery. You can charge this portable speaker using its proprietary audio cable, which you can also use to connect non-Bluetooth mobile devices. Basically, this audio cable is called a 2-in-1 audio to Micro-USB cable. You simply plug the 3.5mm jack into an auxiliary input on your device and it will start the charging process. However, you need to always secure the cable because if you lose it, then you won’t be able to connect non-Bluetooth devices (not unless you buy another cable from iHome). You will also find some volume control buttons on this portable speaker, but it will be more convenient on your side to control the volume using your smartphone or any other portable device you connect it with. When it comes to its speakerphone, I tried a few calls and I have no problem hearing the other person on the other end. Also, the test caller confirmed that the sound is just fine on his side, but there were some faint distracting sounds when we tried calling from outside the house. So, its speakerphone is usable and good enough for any of your conference calls. Can You Easily Pair it With Other Mobile Devices? This wireless Bluetooth speaker is compatible to any popular smartphones, tablets and MP3 players on the market. It will only take you seconds to connect the iDM11B. Based on my experience, I had no problem pairing it with my iPhone 5 and iPad 4. Just like any other Bluetooth speakers out there, its maximum range is about 30 feet, but beyond that you will start to experience intermittent connection drops. What about It’s Audio Performance? For its small size, the IDM11B can produce some decent sounds, though not at par with other high-end portable Bluetooth speakers like the Bose Soundlink Mini. But considering the price difference between the two products, then I have to admit that the iHome iDM11B is already a good bargain. It also lacks the bass performance if you compare it with the Jambox or Beats Pill, but the sound it produce is not exactly terrible. You can still hear some good details, and for its size – it can crank out a significant amount of volume. I did some extensive testing by putting it inside a small office, and I was very impressed with its output. It can really fill the whole space with some considerable good audio. Although, you’ll get some distortion at maximum volume, especially if you’re playing bass-heavy and hard metal music, so don’t push this ultra-compact speaker too hard. It only uses a proprietary audio cable for wired audio playback.